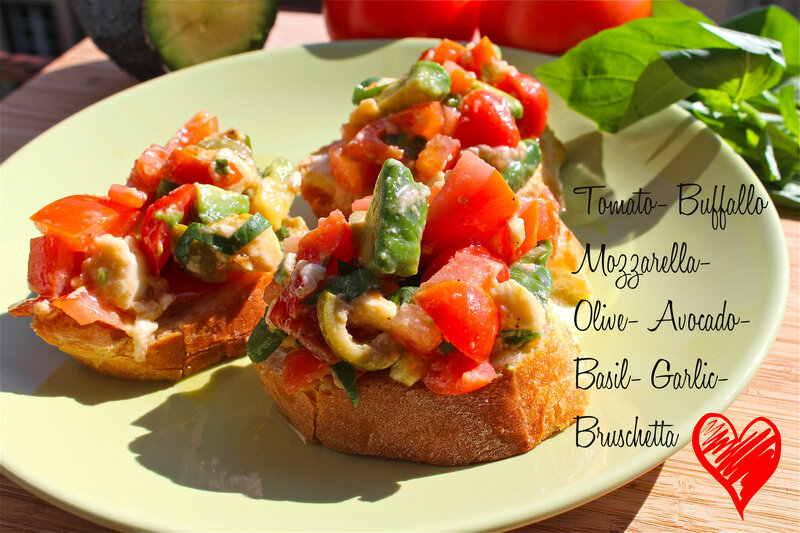 Warm roasted, crunchy bread with a fresh summer topping…Bruschetta! Sometimes it’s just Olive Oil, Garlic, Salt and Pepper, sometimes Tomatoes and Basil….my Recipe include Avocado, Olives and Buffalo Mozzarella. We eat it a lot and everywhere….while we are sitting in town having Apero, at home for a summer dinner, at parties or as an appetizer….simple, fresh and good. If it’s grill season, the best you can do is to roast the bread on the grill. Just rub a peeled garlic glove on the bread slices, dribble some olive oil over it and roast it over the fire….if the grill is still out, the oven will do the job. This Recipe tasts also great with Feta or Blue Cheese instead of Mozzarella. For this time I took a nice Buffalo Mozzarella, very soft and smooth, that gives the topping a creamy note. 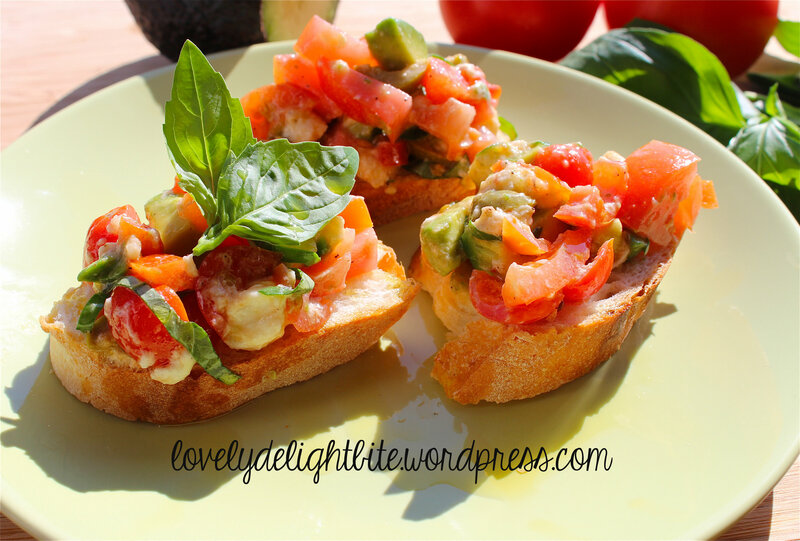 This is some of the most beautiful bruschetta I’ve ever seen! I’ve also noticed that we use the same theme and I love what you’ve done with it!